Our Saturday in Heaven is the prologue to the Sunday in Hell “Melburn-Roobaix” which will be held the next day . 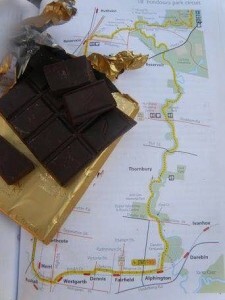 On Saturday we ride from Alphington Station to Mt Cooper, Bundoora, and back. Mt Cooper is Melbourne’s highest point. Riding on a bitumen shared path bike trail – no cobblestones. Afterwards, join us at the Darebin International Sports Centre (DISC) for the Melbourne Custom Bicycle Show. $5 entry, 12-4pm. We have have one free ticket to give away, book on the ride and you will automatically go into the draw to win a free entry pass to the Melbourne Custom Bicycle Show. The winning ticket will be drawn two days before the ride and we will contact the lucky winner by email. We ask you to be at Alphington Station 15 – 10 minutes prior to our departure time.